Now this is one of the most scariest thing that can happen to anyone who is starting a new blog or has an established blog with lots of posts : not to be able to get access to their WordPress dashboard. At first, you might feel getting hacked but there is simply nothing to worry about. 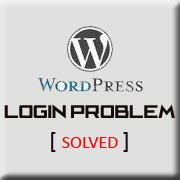 For those affected, here is how to solve the admin login problem in wordpress! Follow the steps below if you are a victim or do not wish to be a victim. Chances are you have all the set up done but its worth checking ! Log in into your CPanel. You can see a range of options over here. 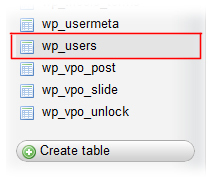 If you see the user_login have ‘admin’ written change it to your old user name with which you were not able to access the wordpress dashboard. Below that, in user_pass add your earlier password or a new one. 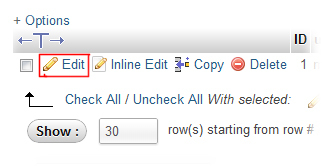 Under the function table, click the drop down menu and choose MD5. Next, if there is no email address added, do add it in the user_email. When I faced this problem, I wanted to send my password to my email id, but it showed there was no email id registered with my user name. Log in again and you are through! If you have any questions, drop it below ! Very good article, thanks. Keep posting such good articles. I hope you do not face such type of problem!